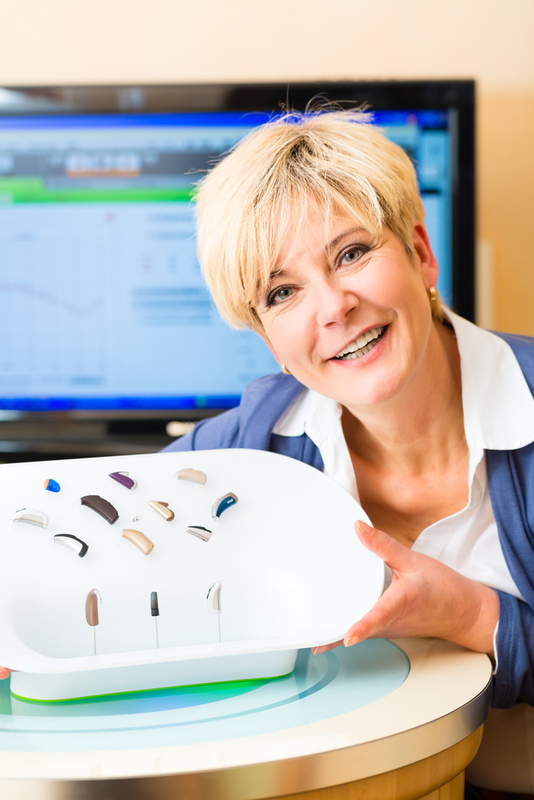 Which Hearing Aid Style Is Right for You? Hearing aid technology has come a long way over the years. Nowadays, there are many options available to ensure a perfect fit for every wearer while also delivering the proper amount of assistance for each level of hearing loss. In-the-Canal (ITC): ITC aids are well liked among many hearing device wearers due to their discreet nature. Completely-in-the-canal models are also a popular choice for those wishing to conceal their devices. These types of aids are the smallest currently available. In-the-Ear (ITE): As their name suggests, in-the-ear devices sit in the ear, fitting snugly in an outer portion (but not the canal). While they may be more noticeable than ITC models, some wearers find their size makes them a bit easier to handle. Behind-the-Ear (BTE): These hearing aids feature plastic units that sit behind the ear. A tube runs from the plastic component into the ear. BTE aids can be used by individuals with hearing loss ranging from mild to advanced. These, too, are ideal for users with limited dexterity. Receiver-in-Canal: While these devices have a similar appearance to BTE aids, they have more advanced capabilities. Instead of a plastic acoustic tube, the receiver-in-canal aid features electrical wires for an enhanced listening experience. Extended Wear: In recent years, specialists have developed a revolutionary device that can be inserted into the ear and worn for up to four months at a time without removal. An audiologist places the device into the wearer’s ear, and the end result is an invisible, hassle-free solution for extended hearing support. For assistance finding the perfect hearing aid for your lifestyle, contact the supportive team from Cortland Hearing Aids by calling (888) 614-8064. You can also visit their website to learn more about their hearing help services, or like them on Facebook for additional updates. http://www.cortlandhearingaids.com/wp-content/uploads/2018/01/Cortland-Hearing-Aid-Style-Blog-Image.jpg 240 480 admin http://www.cortlandhearingaids.com/wp-content/uploads/2018/01/logo-300x78.png admin2017-05-15 20:20:002018-01-25 21:19:42Which Hearing Aid Style Is Right for You?